Kalamata is the second largest Peloponnese city located on the Messenian Gulf in southern Greece. Although the city itself is without ancient roots, Kalamata holidays attract many visitors as it is known as the gateway to Olympia and ancient Messina. With mountains to the east and acre after acre of olive and fig trees as well as long sandy beaches in beautiful bays, holidays to Kalamata offer some spectacular scenery. Our selection of low cost Kalamata holidays will please everyone from those wishing to laze on sun baked beaches to those aiming to explore ancient sites. There are many excursions available form the city which include a regular ferry service to Crete as well as trips to traditional mountain villages and the beautiful peninsulas of Mani and Messinia. 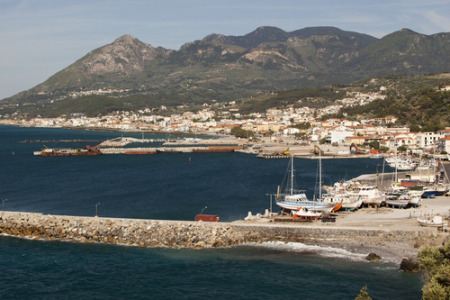 Holidays in Kalamata are ideal for those wishing to escape the vagaries of our British weather. We have a range of cheap Kalamata holidays that are great value for money, especially when taking the family. Since our Kalamata holiday bargains disappear like hot cakes you need to search now to find our latest Kalamata holiday offers.